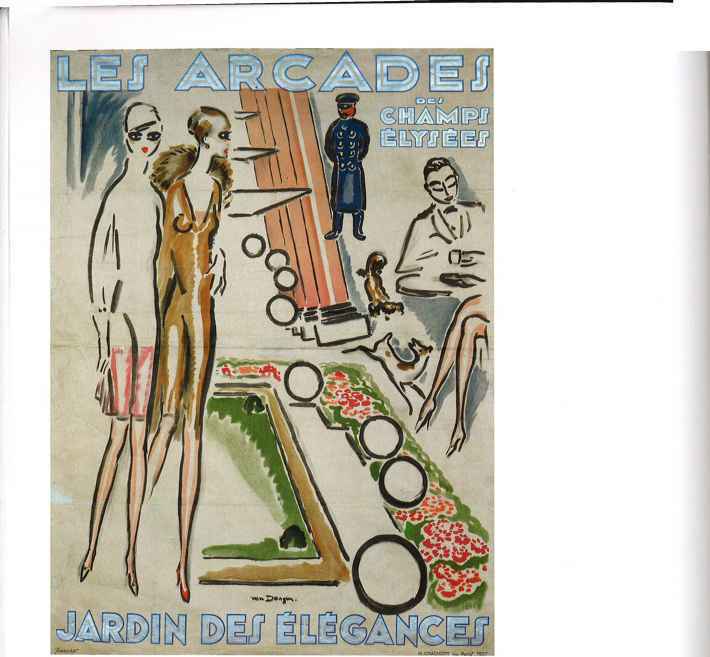 Kees van Dongen, Poster for 'Les Arcades des Champs Elysees', 1927. Courtesy V&A Images/Victoria and Albert Museum. Kees van Dongen, a Dutch artist, became a French citizen in 1929. His work successively embraced several styles - Impressionism, Fauvism and Expressionism. His images of fashionable Parisian life capture le style moderne perfectly. 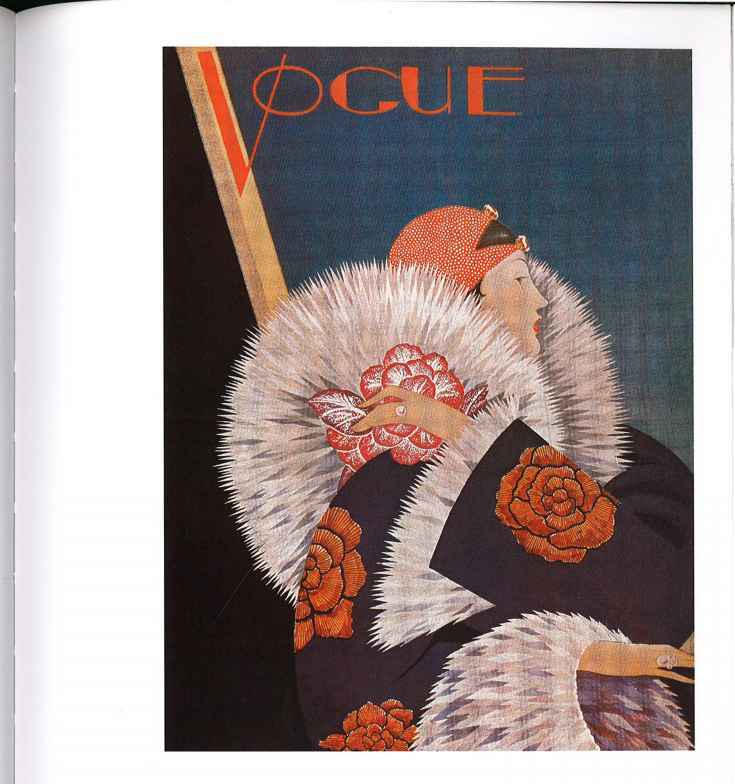 George Wolfe Plank, Cover of American Vogue, February 1927. Colour lithograph. Courtesy The Advertising Archives. Plank worked for Cond6 Nast for 15 years, some of them based in England. 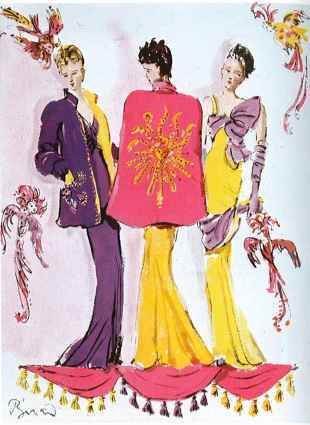 Between 1911 and 1927 he did more than 50 covers for American Vogue, most depicting imaginary garments in decorative neo-rococo style. Ernst Dryden, Sketch for cover of Die Dome, 1928. Wotercolour. Courtesy Mary Evans Picture Library/Dryden Collection. 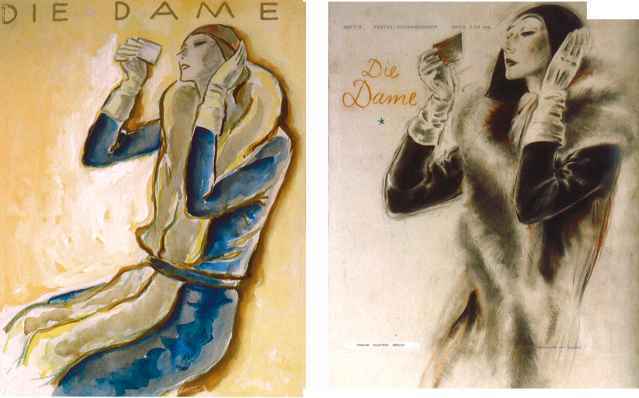 Ernst Dryden's work appeared frequently in top magazines between the wars, most notably his advertising campaigns for Jane Regny sportswear. He moved to New York in 1933, and contributed to Vogue editorials. Ernst Dryden, Cover of Die Dame, November 1928. Courtesy Mary Evans Picture Library/Dryden Collection. In his final cover version, Dryden captures the tactile qualities of the fox boa. Applying makeup in public was no longer taboo, so stylish enamelled and jewelled compacts - highly collectable today - became a feature of Art Deco design. 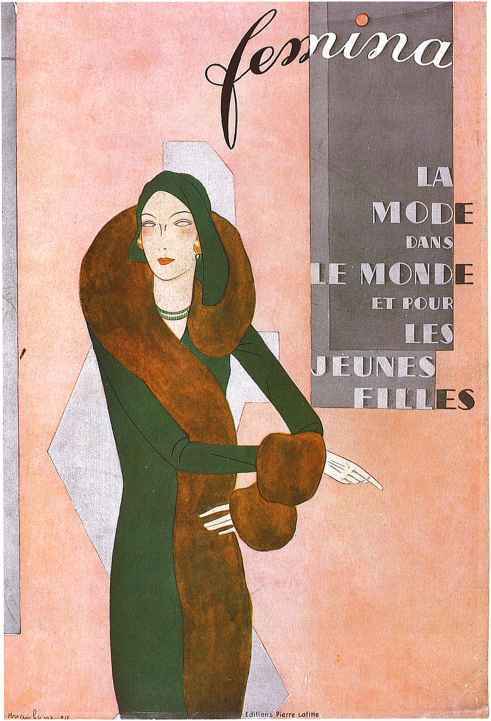 J. C. Haramboure, Cover of Femina, February 1930. CSM Archive. An asymmetrical cloche hat is offset by a luxurious fur collar and matching cuffs. Haramboure contributed regularly to Femina as well as to La Femme chic and Album du Figaro.